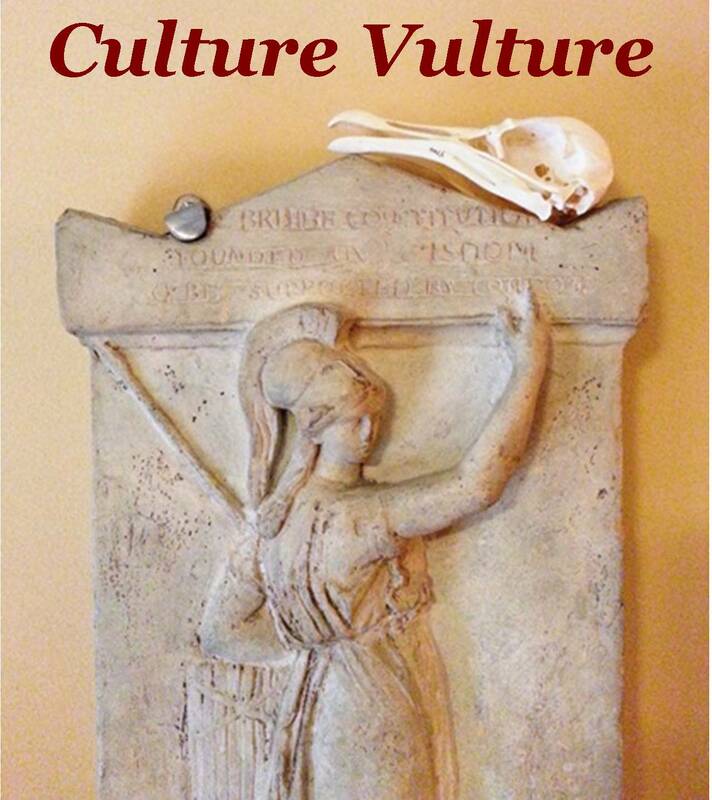 This is the second of our Culture Vulture exhibition reviews (the first is here) As I mentioned in an earlier article about whether a degree in museum studies was worth it it’s very important for museum professionals in all kinds of roles to not just act as guardians of material culture but also to go out and consume it. Visiting exhibitions is a great way to ummm ‘borrow’ ideas in exhibition design and if an exhibition is doing its job well then you’ll come away with a mind full of new thoughts and ideas. I’ve been along to Ice Age Art: arrival of the modern mind at the British Museum and was excited to see how the museum would interpret a narrative which is equal parts natural history, archaeology and art history. When it comes to academia it seems that humans love to find ways of boxing in disciplines and practices rather than accept that they are all interconnected. This can be seen in the names of departments, museums and the conferences that we attend but in my opinion it’s cross disciplinary interactions that can be the most interesting. Two big camps, traditionally pitched as antagonists are ‘Art’ and ‘Science’. Does Ice Age Art cater for both of these audiences or has one group (you have to carry a card) had more of a say? Ice Age Art, cleverly billed as an exhibition 40,000 years in the making; a rather quick turn around for most exhibitions, brings together an amazing collection of artefacts created by anatomically modern humans between 40,000 and 10,000 years old. If you’ve ever had a passing interest in the subject of early art then there’s no doubt that you’ll be able to find the objects that bring the subject to life in this exhibition. From the Lion Man of the Hohlenstein Stadel* through to the ‘donii’ figures that illustrate guilty pleasure read Jean M.Auel’s Earth’s Children series. It really is through the discovery of these objects that palaeontology bleeds into archaeology and anthropology and for the first time in history people are creating objects that are more than just the tools for day to day survival. It’s an astonishing accomplishment to have been able to bring this array of objects together and unless this exhibition travels it will be the last time in our lifetime that you’ll be able to see these objects all in one place. I think that this exhibition could have easily been on the ground floor of the old reading room space that currently hosts the big exhibitions at the British Museum, instead it is in the smaller raised gallery in the Great Court. Trying to book tickets for this exhibition and talking to colleagues trying to do the same, it seems that the exhibition has been very popular and whilst I was there one had to adopt the slow penguin shuffle to get around the exhibition and see all the objects. It’s hard to criticise an exhibition for being too popular and hopefully the success of this one will lead to other exhibitions on the topic. Throughout the exhibition works of ‘recent’ art are controversially juxtaposed with the Ice Age works perhaps to illustrate that some topics and subjects have always inspired artists. My take on it was that some recent artists are just riffing of the 40,000 year old originals. Either way, from what I saw, the works of Matisse and Moore went largely ignored the ancient objects themselves proving more than enough of a draw. I would have liked to have seen more about the production techniques and what must have been painstaking effort that went into turning a tusk, tooth or tyne into an intricately carved figure, portrait or landscape scene. There is a short video at the beginning of the exhibition but it didn’t quite have the same impact as the analagous section in the Bronze exhibition that recently ran at the Royal Academy of Arts. However, what was excellent were the illustrations showing exactly where inside a tusk, tooth or horn some of the sculptures came from which really hit home the planning and skill that was needed to produce such works. As with all interpretations of works or art, but particularly for works whos creators we are so separated from in time, a certain amount of speculation is required about the intentions of the artist and meaning of the creations. Occasionally, on one or two labels, the speculation goes a bit too far. Works that were exploded during the process of firing are unnecessarily interpreted as performance pieces and two rearing horse sculptures separated in time by thousands of years and across space by a number of miles are needlessly speculated as being the same horse. Fortunately though, by and large the interpretation is descriptive and informative and thankfully not just a ‘tombstone’ label you are likely to encounter in a modern art gallery. Overall there is a good balance between the science and the art side of things and hopefully those who are more art inclined will be inspired by the science bits as much as I was inspired by the arty bits. The exhibition runs until the 2nd of June, if you can get tickets I’d advise you go and if your wallet can take it there’s a lovely catalogue of the exhibition we’d love you to donate to the Grant Museum archives. * It’s a minor point hence why it’s down here but after visiting the exhibition and raving about some of the objects I was told that some of them, including this piece, were replicas. Replicas per se aren’t a problem after all the material in this exhibition is extremely fragile and truly irreplaceable however cryptically labeling the object as a replica, as was the case with the Lion Man, is almost as bad as not labeling them at all. Naughty.